✔️MAXIMUM HEALTH BENEFITS. 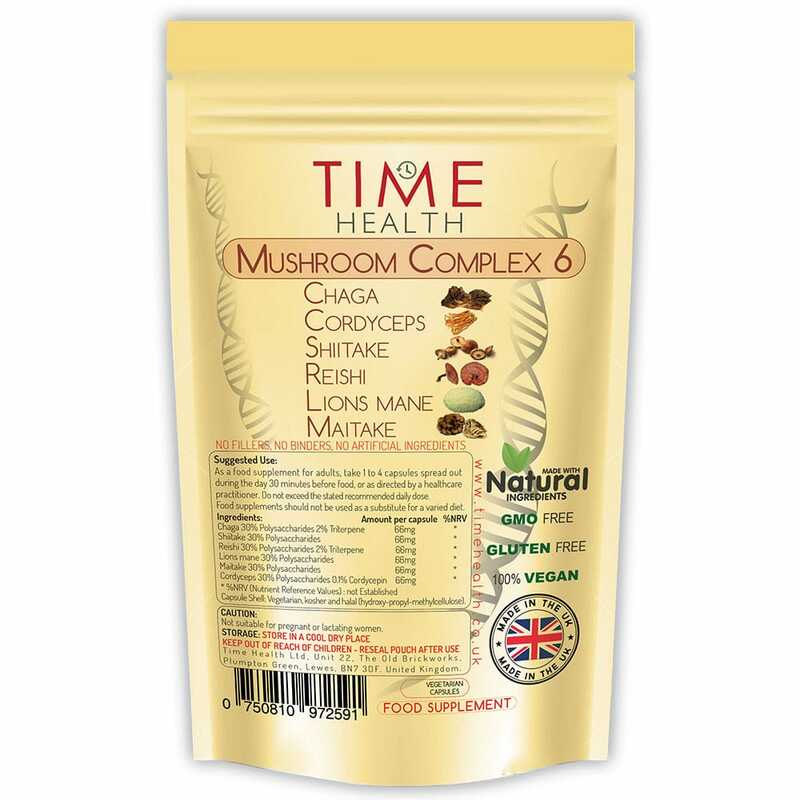 100% natural Mushroom Complex 6 HIGH STRENGTH is an equal mix of six different mushrooms, Chaga, Cordyceps, Shiitake, Reishi, Lions mane and Maitake giving a broad, full-spectrum, high potency, complete mushroom formula. ✔️DUAL EXTRACTED. Alcohol and hot water extraction used to draw out water-soluble and the non-water-soluble bio actives. Only the most complex part of the mushroom is used – the fruit body. ✔️3RD PARTY TESTED. Heavy metal tested in the UK. Beta glucan content tested in Ireland between 8% and 12% depending on the batch of mushrooms. Certified Organic Mushroom Complex 6. Mushroom Complex 4 ULTIMATE STRENGTH 50% Polysaccharides – 30% Beta 1,3/1,6 D Glucan. Certified Organic Mushroom Complex 8, full spectrum triple mix of fruit body, mycelium and extracellular compounds secreted by mycelia. 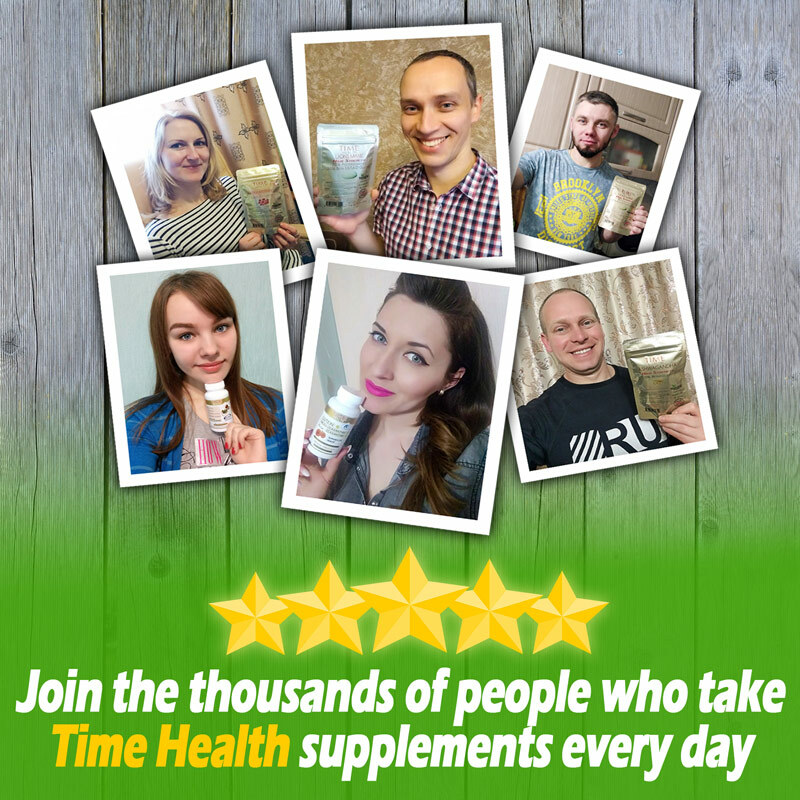 Chaga, Cordyceps, Coprinus comatus, Lions Mane, Maitake, Oyster Betox93®, Reishi, Shiitake. 66mg Chaga (Inonotus obliquus) 30% Polysaccharides grown wild on Russian birch trees. 66mg Cordyceps (Caterpillar Fungus) 30% Polysaccharides grown wild on organic gluten free grain. 66mg Shiitake (Lentinula edodes) 30% Polysaccharides grown on hardwood sticks. 66mg Reishi (Ganoderma lucidum) 30% Polysaccharides grown on duanwood logs. 66mg Lions mane (Hericium erinaceus) 30% Polysaccharides grown on hardwood sticks. 66mg Maitake (Grifola frondosa) 30% Polysaccharides grown on hardwood sticks. I’ve been taking these since I read an article about a scientist who had studied, and proven, the anti ageing and health benefits of mushrooms. Ever since taking these (and the olive leaf extract capsules also bought from Time Health) I haven’t had a day’s illness including when all around me succumbed to horrendous colds. On top of that, my skin is glowing and I just feel fitter. I wouldn’t dream of stopping taking them. Great experience and excellent product. Would definitely recommend. 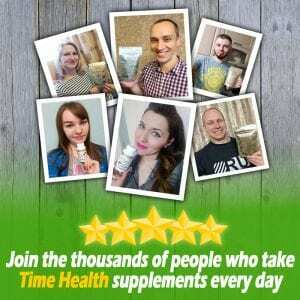 Great product for boosting the immune system. This product has stopped me getting cold after cold and chest infection. I'm also fighting prostate cancer and I'm hoping it will help in my fight. I like this. It looks like helps me with thinking better, digesting better (even I think with my Reflux as well), now I am waiting for the effect of shoulder pain. I will write if it works there as well.